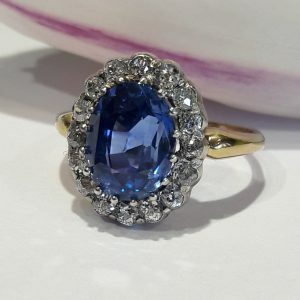 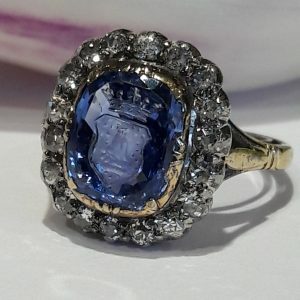 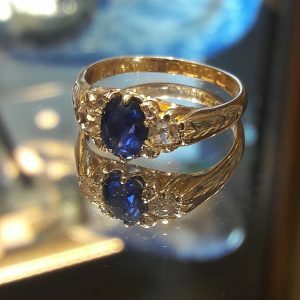 1.25ct old cut diamonds, circa 1880, to a border of calibre cut sapphires and a further border of diamonds, platinum, later mount. 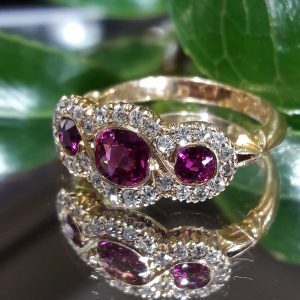 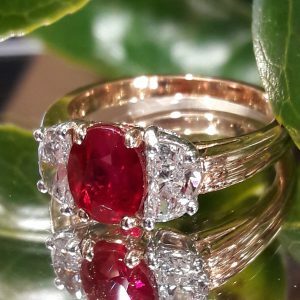 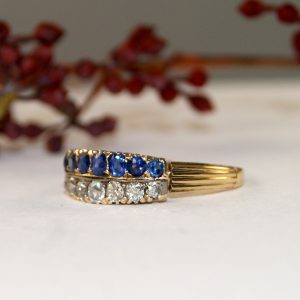 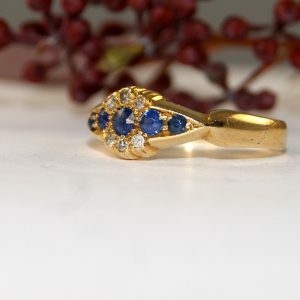 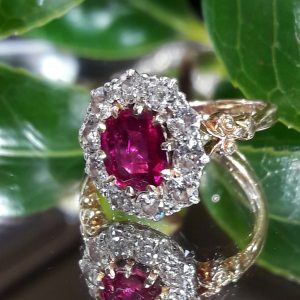 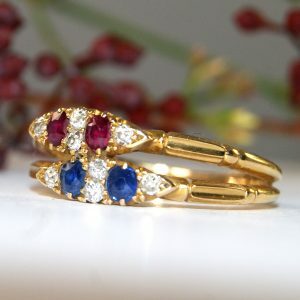 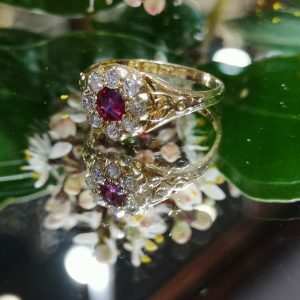 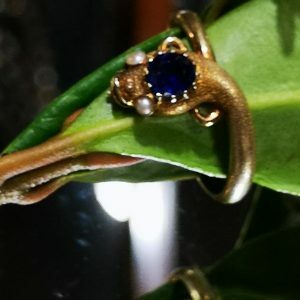 18ct yellow gold triple band three stone ring set with sapphire, diamond and ruby. 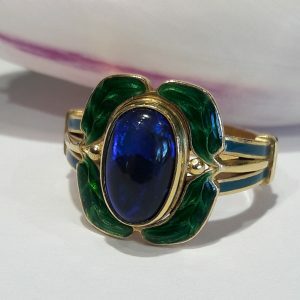 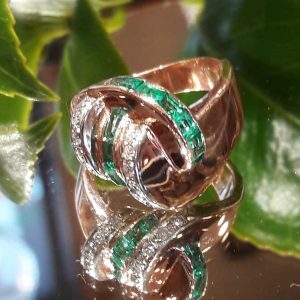 1950’s yellow gold ring the top styled as a knot or swirl set with diamonds and emeralds. 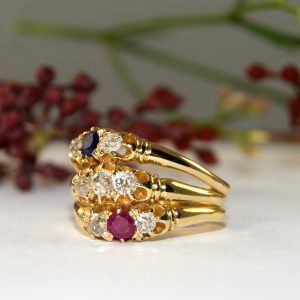 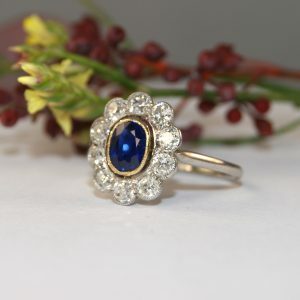 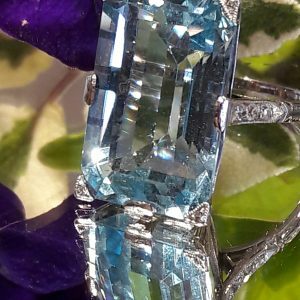 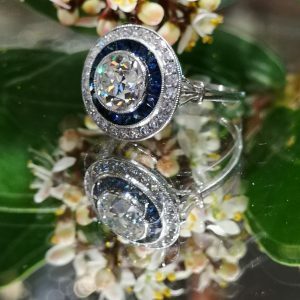 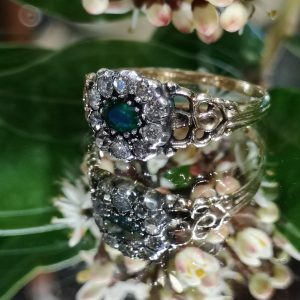 Elegant and stylish right hand ring.